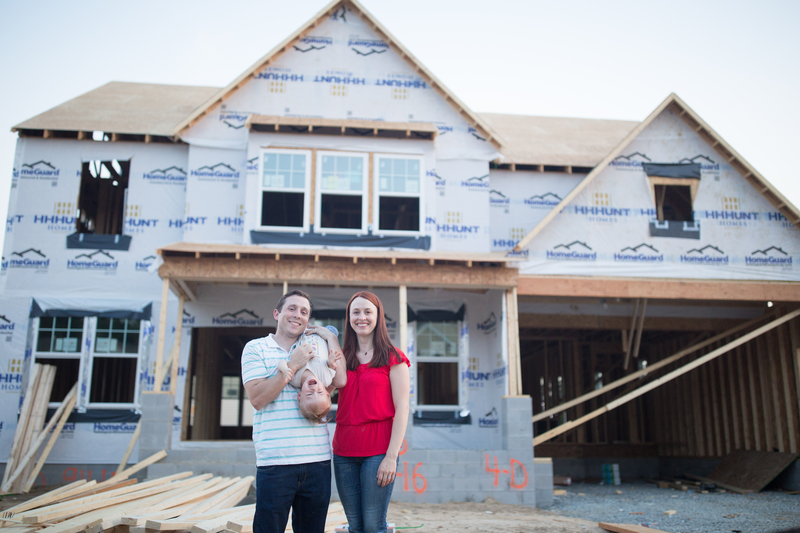 Once our structural options were picked we had about 6 weeks to finalize all of our other options such as flooring, cabinets and other kitchen upgrades. I scoured pinterest to figure out exactly what kind of kitchen I wanted. I’ve always known that I wanted a white subway backsplash and I LOVE kitchens where they carry tiling to the ceiling. I also love stacked cabinets because I feel like they really give it that custom/finished look. I also knew that I wanted white shaker cabinets. Fortunately, these were all options but none of them were cheap. I was also drawn to kitchens with marble counters and we realized we loved the look of the vent hood over the stove. By moving the microwave to an alternate location and clearing the area above the stove for a hood it definitely gave the kitchen that wow factor. To upgrade to stacked cabinets it was about 3k. To paint all of the cabinets, including the stacked cabinets it was a little over 1k. To upgrade to the vent hood you had to pay 1k for the hood but you also had to upgrade to the most expensive appliance package for a little over 3k. Granite came standard but to upgrade to a lighter granite it was $1,600 and to upgrade to the white quartz option which replicated marble the best it would be $6,000. I believe the reasoning behind the appliance upgrade for the vent hood was mostly to get a slide in oven that didn’t have the raised panel along the back. That one stung the most because it was so hard to justify. Over $4,000 just to get the hood?! We really thought about trying to upgrade this later. But we would have had to cut out brand new cabinets and move a microwave to a location that likely didn’t have an outlet near. Then we would have had to buy and install a vent hood. Nothing about that sounded “DIY”. We also considered getting someone to install stacked cabinets and make a custom cabinet for the microwave. However, the kitchen came with 42″ cabinets. The stacked cabinet option gave you 36″ cabinets with an 18″ stack. If we didn’t upgrade we’d have to either try to stack a 9″ cabinet w/ a 3″ molding over the 42″ cabinets (not sure that’s even possible really) or we’d have to rip out all the wall cabinets and start over. I tried to love the 12″ of molding look via pinterest and houzz but I just couldn’t do it. In the end, I knew if I wanted the look of stacked cabinets the upgrade was the only option to feasibly get them. Painting the cabinets was a no brainer since we would unlikely be able to paint all of the cabinets ourselves in less than a week even and our finish would not be nearly as smooth as the cabinet company and would probably chip much quicker. We also upgraded the kitchen faucet to a sleeker style because the one that came with the house looked like a snake. And I don’t like snakes. No, seriously. Lastly it came down to the counters. We were already a good $5,000 over budget at that point so I was having a hard time justifying spending an additional 6k for quartz. The other issue was that I wasn’t sold on the quartz option. 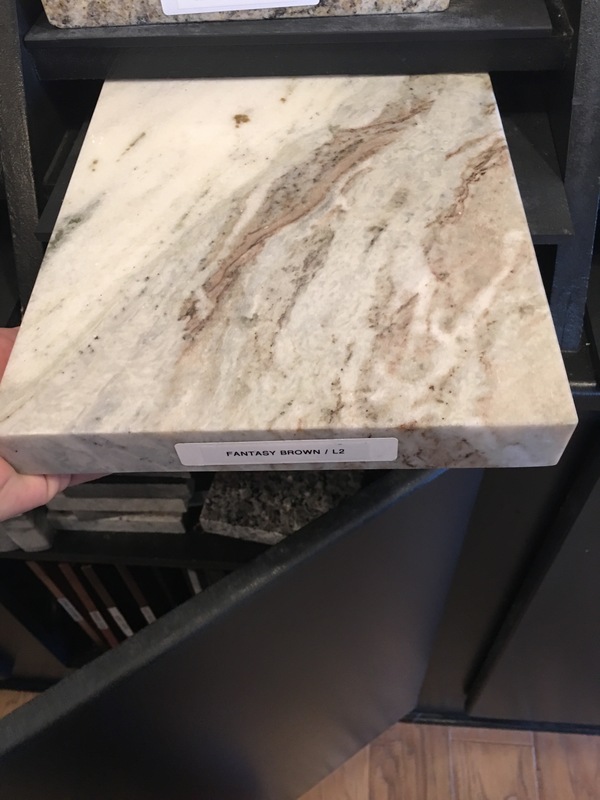 Our builder offered cambria quartz and I was very interested in the Torquay for it’s imitation to marble but when we went to look at it in person at a store I thought it was too creamy/off-white and the swirls were more tan-based instead of grey. For that kind of money I needed to love it. And I just didn’t. I stand by that decision to not go quartz because the house across the street from us got Torquay and I wasn’t impressed. The granite options that came with the house were black or dark brown tones. I considered using the black granite but getting a honed finish was not an option and polished black granite just doesn’t do it for me. Remember I dreamed of marble. So I then had to decide if it was worth it to spend the $1,600 to upgrade to a lighter granite. I had 4 options – fantasy brown, spring white, colonial white and river white. For me, fantasy brown was too, well, brown…so that one was out pretty quickly. They had a spring white island in the design center and it was very splotchy and inconsistent. It really came down to colonial white and river white. Here’s where I still don’t know if I made the best decision. The colonial white had areas that were whiter than the river white but the river white had an interesting quality of having some veining not as common with granite but was definitely more grey-toned. I went back and forth on it. It didn’t help that I only had a 12″x12″ sample to decide off of. I looked a lot at houzz for examples of each granite and I thought that the river white would make me happier. Once our granite went in I was straight up angry with myself thinking I chose wrong. But I’ve since come around to it a little. After the flooring went in it definitely looked lighter. We didn’t pay to have the builder install the backsplash because 1) they wanted too much money for it and 2) I want the tile to go to the ceiling and that wasn’t an option. So that was the kitchen and that occupied pretty much 99% of my thoughts for the 6 weeks. So much so that when we got to the design center she asked what we wanted in the bathrooms and I was like….oops. Totally didn’t even look at anything beforehand. We ended up going with the lighter tile option in the master of the 2 that were included and paid about $100 to upgrade to painted cabinets. Since the tile was a tan color we decided to have the cabinets painted an off-white instead of white called “linen”. We went with a similar color cultured marble counter. I have to say we nailed the master bath 100%. The second bath which will be shared between bedrooms 3 and 4 we went with the graphite stained cabinets which is a dark grey/brown. The color is beautiful but because that bathroom does not get any natural light it’s looking very dark in there. Down the road I can see us painting the cabinets, maybe even a fun color; but for now it works. The bath off bedroom 2 we went with a medium brown stain called “autumn” for the small cabinet. The flooring in both of those baths is vinyl. We decided to upgrade to the nicest vinyl level which was still very affordable because apparently vinyl is CHEAP. Seriously it was like 30 bucks to upgrade in each room. Ummm, yes, that’s an amount I can work with. The vinyl we chose in each of the baths is a similar faux-marble. It was very tempting when choosing the counters for the baths to go with the choices with heavy veining but I’m super happy that I went with my gut and went with the plainer, more basic veining. I think it will stand the test of time much better but who knows. That awesome vinyl that looks like hardwood on the far right is the vinyl in our laundry room. So then when we met to make our selections the lady dropped the bomb on us that the email we got was incorrect. We would have to PAY to upgrade to wood flooring in all of the rooms we had told would be included. It was over $6,000 WE WERE NOT EXPECTING. Somehow we must have looked upset enough that she got them to throw in the nook office for free. So we decided to add in the mud room and then we went home to think about the rest. It was $2,525 to do the wood flooring (ahem, not wood floor at all) in the great room alone. The dining room was I believe $1,600. Eric was all “Let’s just do it” because he hates DIY. But me, my curiosity got the best of me. I knew the product was Shaw “Trailing Road” so I looked it up. It costs $2.69/square foot at Wayfair. Yes the shipping would cost a bit but I figured I could get the entire product for the dining room and family room for under $2,000. That left me over 2k to get it installed. 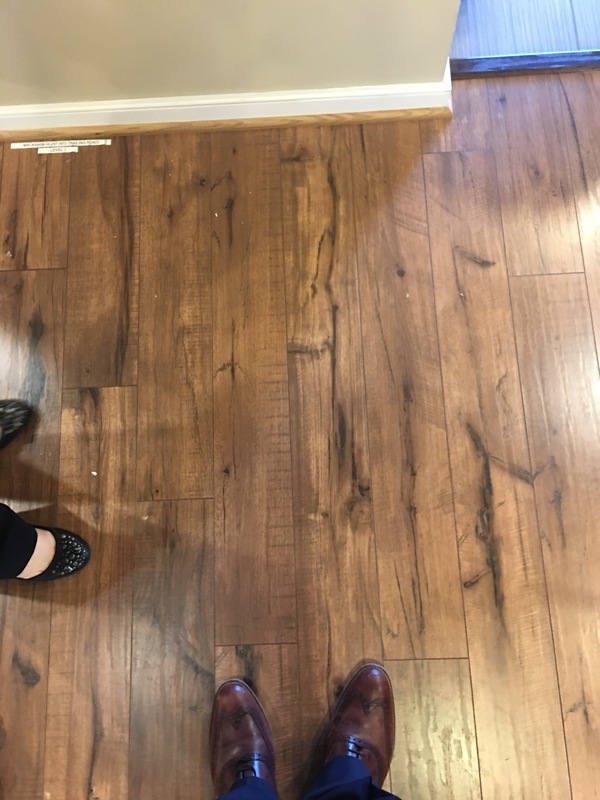 We went to floor trader and they told us they charged approximately $1/square foot to install it. It seemed like I could legit get it done for about $3,000. Sometimes in life you are stubborn. You think, “I can save $1,000 so that’s what I should do”. And I can now say after having gone through JUST the process of getting a quote for the labor that I really wish I would’ve just gone with my husband on this one. But here we are anyway. I probably spent at least 1 full week thinking over this decision so you think I would’ve figured out the fatal flaw with not having the builder put down ALL the laminate. But I didn’t. Until the day the laminate got installed. The laminate didn’t line up. 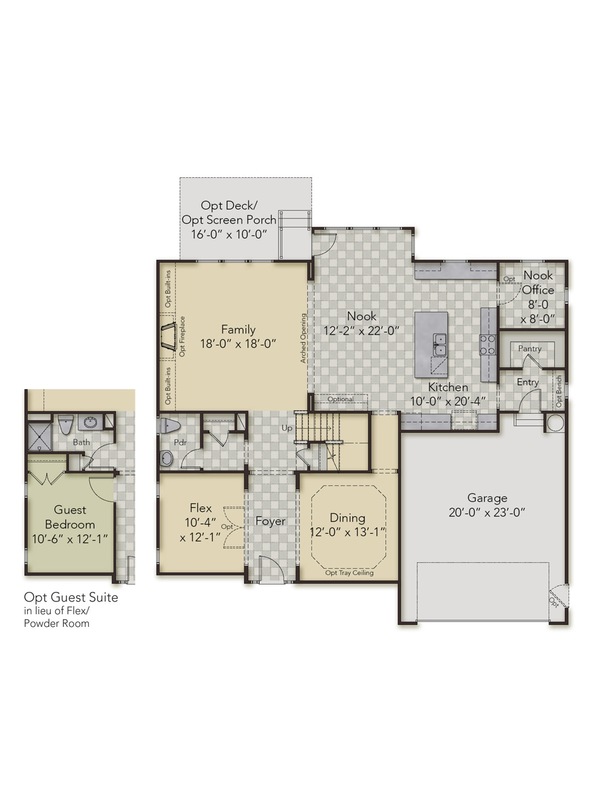 Because they started at point A (kitchen) and skipped over the great room to point B (foyer). And when we go and put down laminate in the great room THEY’RE NOT GOING TO LINE UP. I mean, there was a very small chance they would BUT THEY DON’T. So when we get the laminate installed we’ll have to keep the thresholds between the foyer and great room and breezeway and nook. Oh…or we could completely reinstall the laminate…ya, no. Sigh.